Knowing the basics of any industry is at the start of every business owner’s to-do list. When you pair up with All About Kids to open your own Kentucky childcare center, you get all of the knowledge and expertise that we’ve gathered from our years of experience working with kids and running a business. You get the basics to the industry, the business, and business ownership in general which helps you not only prepare for running a business but can help you save money in the long run which will then allow you more spending in places you desire or need, so let’s get started. The saying, “Location, location, location” is not just cliché, but it’s also very true and important for business owners in every industry. The placement of your franchise can either make or break your market. 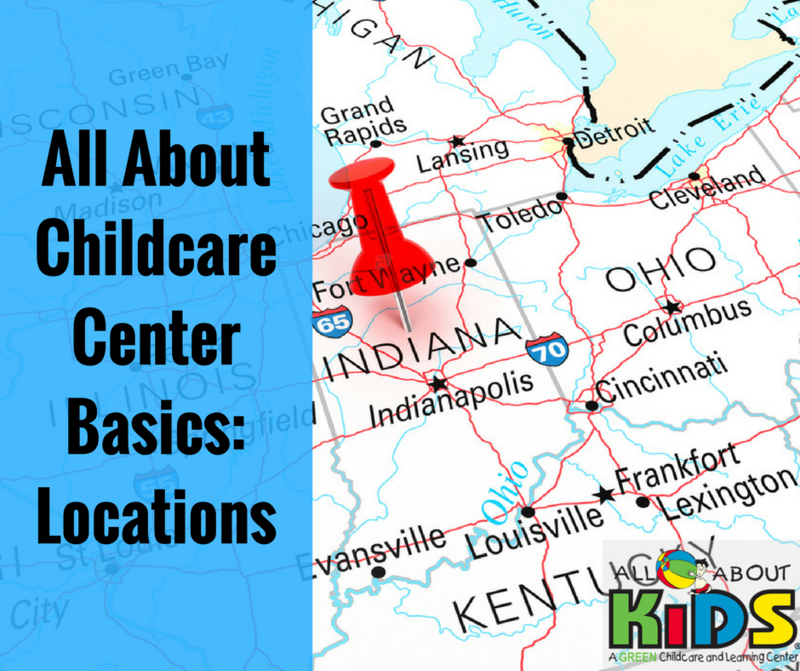 When you’re looking for a location for your Kentucky childcare center, you’re going to want to look for placement along the main road or somewhere that is easily accessible to entice parents to your Kentucky day care franchise. The easier your facility is to get to, the likelier that you will attract more and regular traffic. If you find great land five miles out of town on an unpaved, distant path, the likelihood of clients wanting to drive out there on their way to work in the morning is slime while the likelihood of new clients finding you is even slimmer. Before you sign a purchasing or renting agreement, check out all of the possibilities in the area for places you can put your Kentucky childcare center. Keep in mind that cheap land might mean other problems like inconvenient location, unsolid foundation, bugs, wild animals, or other complications you may not be prepared to fight with in order to maintain safety on your property. If you’re considering purchasing an old Kentucky childcare center that you’ve found for sale, note that pre-existing buildings are harder to change and can be just as costly, if not more so, than starting from scratch. You may not even convert the building at all and be left demolition it and starting from ground zero anyways. If you’re looking at purchasing an already existing building, but are unsure how well it will translate into the All About Kids style, talk to your franchisor or franchise contact before making the purchase. When you join a franchise, you don’t have to worry too much about the layout as you pick up the building plan we’ve already designed. That includes bathrooms, playrooms, office rooms, computer labs, playgrounds, break rooms, and more. Following your franchisor’s plans, you shouldn’t have to worry about local and state laws as our room dimension requirements, entrance ways, and more should already accommodate them. You should already know how big everything should be from the dimensions mentioned in our franchisee packet with only a slight variation based on the building you find. If you feel the need to further research local area laws regarding buildings, please do, just know that the franchisor for your Kentucky childcare franchise floor plans should have your layout and designs covered and your franchise contact should explain all this information to you ahead of time or if you have any questions, feel free to give us or your franchisor a call or email and ask. When you’re placing furniture inside your Kentucky childcare center, you should pay attention to fire marshal’s code for your city and state so that you do not create accidents by accident. Also make sure you have the required number of smoke detectors, fire extinguishers, fire escape routes and alarms, and anything else listed in the fire marshal’s code for the city. While All About Kids does maintain safety consistency for all of its locations, there are special requirements that must be taken in the different cities. Also, remember as you’re modeling space that there will need to be room for cubbies that cannot block off any fire escapes or exits or cause danger for the kids and staff. When you open a Kentucky childcare center you have to think about the kinds of rates you’ll be charging your clients. It’s not just how much you’ll charge, but also how often you’ll charge. There are a few different ways to do it, however, if you work with a franchisor like All About Kids, you won’t have to worry about picking a method and you can talk price over with your franchisor contact. The prices may vary from location to location depending on neighborhood economy or local deals. In order to make the most out of your Kentucky childcare center, you need to determine how much of an income you need to make in order to maintain what you have between building costs, royalty fees, and payroll, then you need to determine how much you need to make in order to turn a profit. Then with the charging rate, you need to determine how many clients you need in order to reach that amount. Much like teenage babysitters, your childcare center may charge parents an hourly rate for the time their children are on the premises. Being paid for the exact amount of child care you provide. Potentially to earning more money from families who work long hours. Deciding whether to charge for full hours or ¼ hours. Disputes over hours if you do not have an accurate check-in system. Parents who send relatives or friends to pick up their children early in order to save money. Working out a way to track time accurately from the entrance to exit for each child. Your income from this method can be unreliable and vary based on sick days, early pickup, vacation days, etc. Another common way that your childcare center may charge clients, and the All About Kid’s way, is a weekly rate that does not stagger. Weekly rates can vary based on whether the family leaves children with them for a half day or a full day. Residual income you can rely on. No or fewer surprises from patrons. You are still paid the full amount even if the family does not bring the child in as much that week or picks them up early. Easier budget planning because you know what to expect on a weekly basis. You’re still paid when the family is on vacation. A higher upfront cost that some families may be more resistant to. Families might be more resistant to it if they do not need a full week worth a childcare center, but still, have to pay for it. You might have to figure out another system that allows parents and families to opt out of paying for a full week if they don’t need a full week. Weekly rates can also be changed into bi-weekly or monthly rates and will still face the same problems and have the same benefits that weekly rates do, just on a larger scale.